"Heritage County" is a Spanish Villa development spread across 28 Acre. Located in Sarjapur, facing NH 207, the project is a stone’s throw away from the proposed Satellite Town Ring Road. The project consists of spacious club house invites everyone to relax, rejuvenate and mesmerize your moods. A Spanish Arch welcomes with extensive landscaped buffer zone also ensures privacy and quiet from the main road. Inner roads allow access only to the villas and no thoroughfare or shortcuts are possible, ensuring privacy to all villas. The clubhouse is located at the natural lake front, tucked with massive old banyan tree while it is fully equipped with state of art modern amenities; no villa bears the brunt of a get-together here. Adequate distance from the nearest villa, separate visitors’ parking and landscape, ensure that the clubhouse is truly a benefit to all and not a nuisance to some. The project site is strategically located, giving you excellent connectivity to Electronic City on one side and ORR & Whitefield on the other. We at Heritage County trust that components of configuration are the building pieces to make show stopper, we grasp bleeding edge outlines to help each individual living at our properties. We at Heritage County ensure that we never lose focus and skirt easily overlooked details. We endeavor to accomplish the best by having encountered minds investigate the better subtle elements which gives an aggressive edge to our clients. We are an organization that are exceptionally enlivened and entranced by our nation may it be our plans, nourishment, conventions, design or workmanship. We make a point to attempt some Indianness in everything. 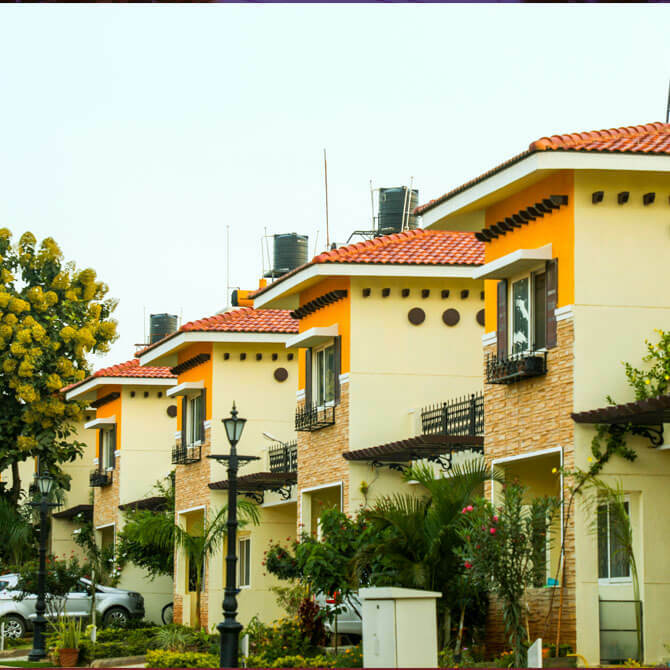 Higher security tops the chart when it comes to Heritage County the basics of living in a house.Therefore, Villas in Heritage county make a very safe residence in today’s world with high crime rate and soaring criminal occurrences. Having qualified guards and automated keypads is a great way to keep your family. Heritage County offer privacy as a top priority along with serenity against the heavy traffic and deafening noise of the outside world. There will be no speeding cars to disrupt your walks and your children cycling on the roads. You also get to escape the loud honking when you desire to work in peace or catch up on a nap! It is important to have a green and serene environment. The best part about Heritage County is that the landscaping around your plot doesn’t fall into your kitty, but is still taken care of very carefully yet beautifully. This really adds to the magnificence of your home. Heritage County offers a large group of preferences to its occupants and clubhouse is one of the primary extravagances that appear to lure the imminent customers.Likewise celebrations, events, and gatherings normal to the tenants of the complex can be taken up in the clubhouse. Children can take advantage of the clubhouse amid get-aways. © Heritage Homes 2017	. All rights reserved.